Rebrickable is my new favorite LEGO resource. For those of you that are not familiar with Rebrickable, the site manages your LEGO collection and then suggest designs you can build with your LEGOs. After you add your loose LEGOs and LEGO sets to your profile on their site you can access Rebrickable’s build page and see what designs you can build. 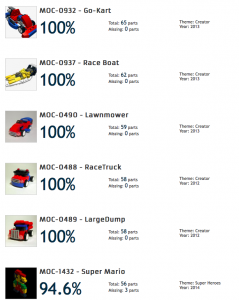 The results include both official LEGO sets and MOCs (my own creation) submitted by other users. The real benefit for me was being able to input all those loose LEGOs from my childhood and seeing what sets I could build. It has been 15 to 20 years since I had really used my LEGOs and there was no way I was going to remember what sets I had. It turns out I didn’t loose as many pieces as I could have. 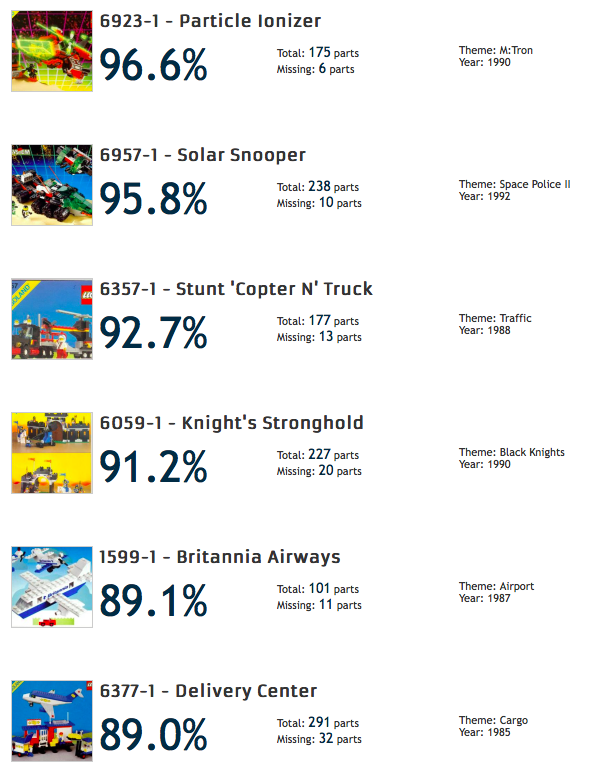 Below is list of official LEGO sets I have the highest percentages of pieces for. There are about 15 sets that I have 80% or more of the pieces. 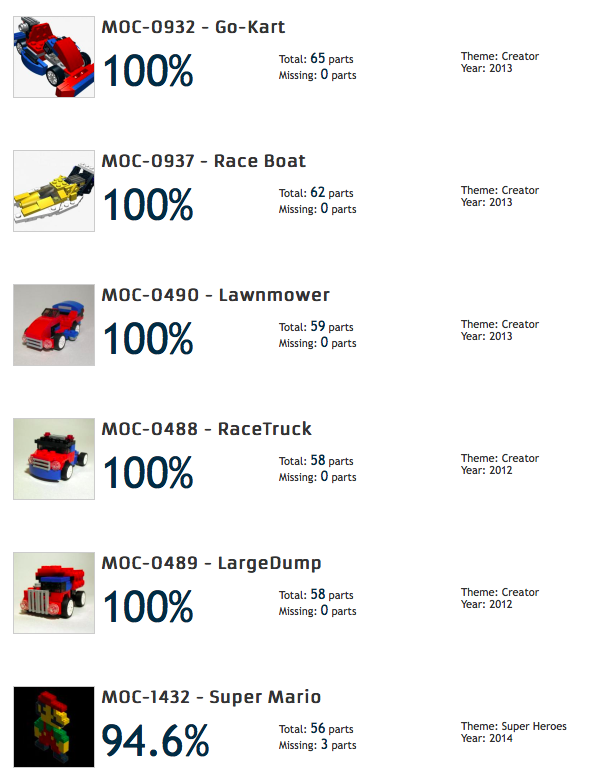 Besides being able to find what official LEGO sets you can build you can also see results of what MOCs you can build. I have already built a couple and will get reviews of them up later. 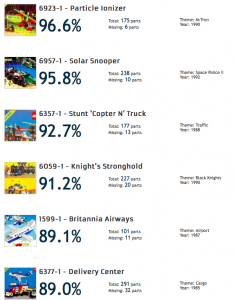 Overall Rebrickable is an amazing LEGO resource for many reasons. I have really just started to scratch the surface of everything that you can do at Rebickable. I have already submitted my first MOC at Rebrickable, Wearable LEGO Glasses, and hope to get some feedback or comments soon. You can find out more about Rebrickable on their About Us page. Tagged Rebrickable. Bookmark the permalink.